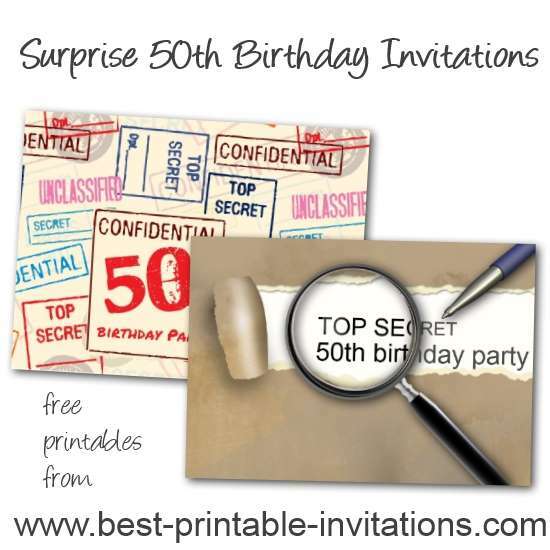 Looking for some free printable surprise 50th birthday Invitations. Shhh.. Look no further! 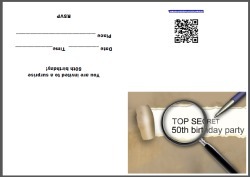 These invite cards are top secret! And perfect template cards to let your guests know not to tell! Don't you hate it when you are organizing a surprise party - and someone lets the secret out! 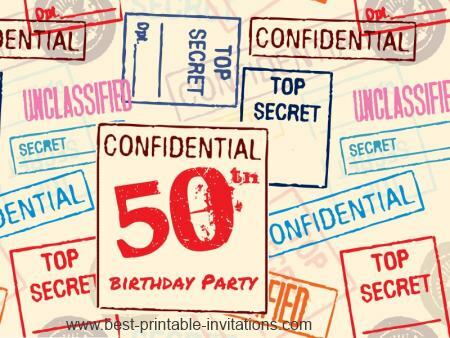 Why not use one of these top secret invitations, so your guests know to keep it quiet. 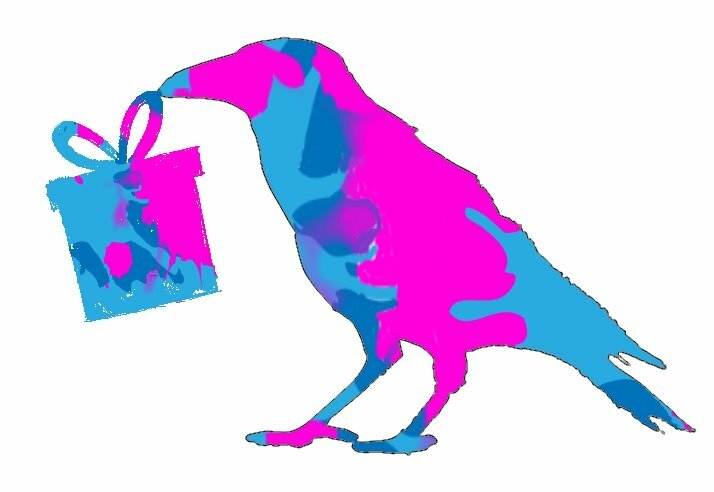 I have two great top secret designs to choose from. 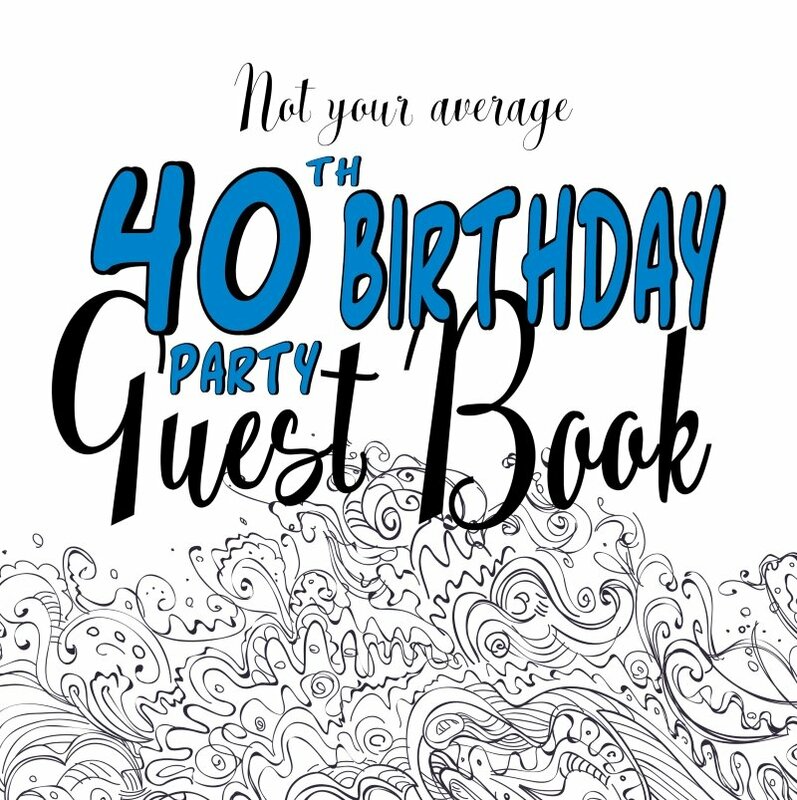 Both invitations fold into a card with plenty of room inside for the party details. 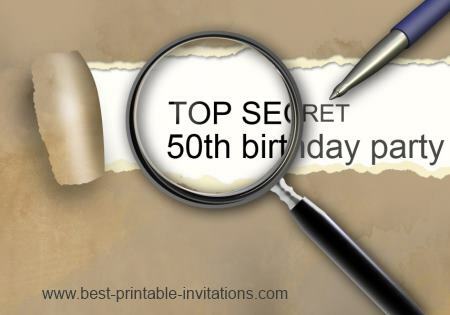 For more printable party invites scroll down and check out my other pages. The watermark in the images below will not appear in your printed version. Got a lot of guests? 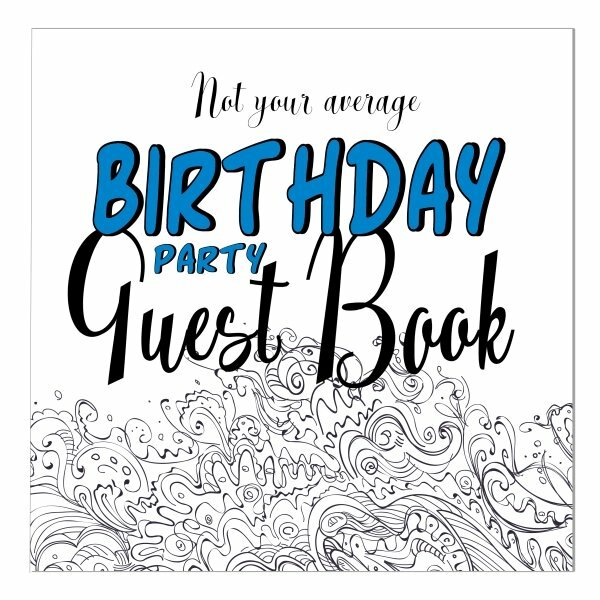 Why not make a personalized invitation with all your party details. 1. Just fill out the form. 2. Preview and check the details. You can change font and sizes - and print out to make sure you are happy with it. 3. Click Buy for instant download (plus I will send you an email link). 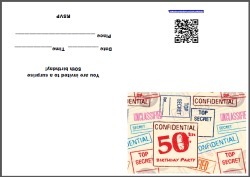 I hope you like these two top secret invitations. Not quite what you were looking for? 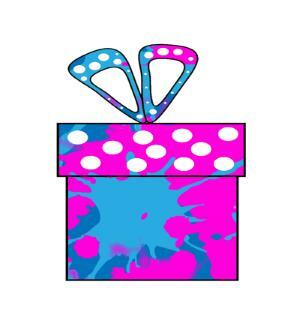 Check out my other printable invitations. 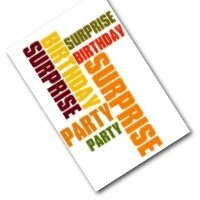 Have your surprise party invitation professionally printed and delivered by post. 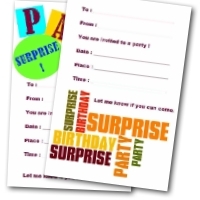 Zazzle invites are fully customizable so you can really design something to suit your event.